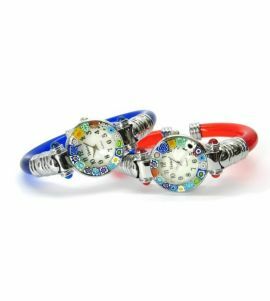 Murano Store offers a complete catalog of Murano glass decorations and objects as a starting point in your search or ideas for romantic. Our collections will allow you to surprise your loved one with an exclusive, original gift which will create an enchanted feeling from the moment the gift box is opened. 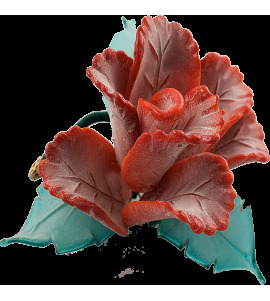 Murano Glass Roses are ideal for Valentine's Day or your loved one's birthday, there is no better way to make a girl or woman smile than offering a beautiful flower. 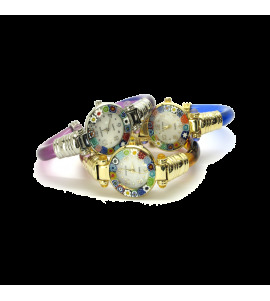 A delicate watch adorned with intricate Murrina Veneziana is also a great way to show your love. 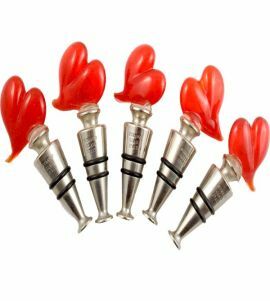 If you want to offer a romantic gift to a man, a stainless steel wines topper decorated with Murano Glass is a very elegant and tasteful present which will surely be appreciated. Murano Glass gifts are the perfect choice if you're looking for romantic present ideas, they are crafted with love by our artisans in Venice, Italy.